We are crawling towards the final line, Christmas is almost here. Its that time of year where we get to enjoy wall-to-wall family time and long winters walks, mulled wine and copious amounts of food. 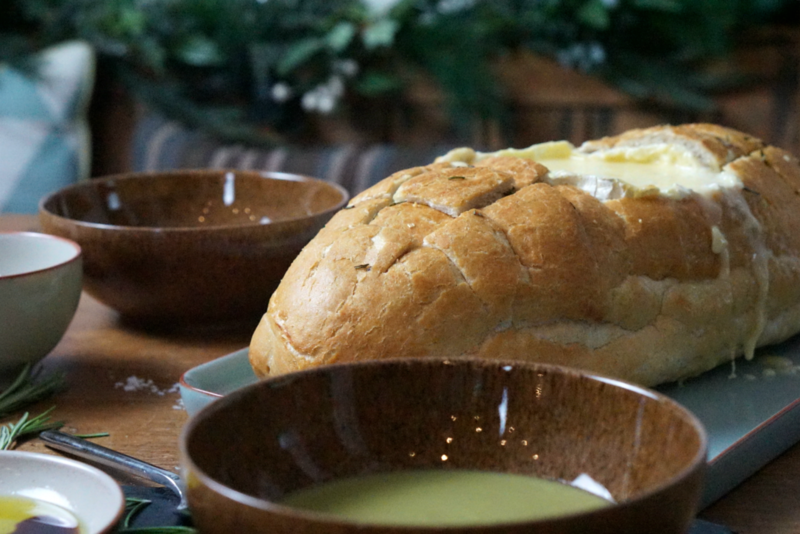 Eating should be a social affair and this baked Camembert in tiger bread is a good dinner party recipe or great for a family snack with soup. Our menus are planned, the food is ordered, crackers are made and presents wrapped. All we have to do now is chill out and make festive memories. Of course a large part of Christmas is cooking, and inviting friends for dinner parties or preparing fantastic buffets. We also need chill days too. Days where no one is slaving over the oven and we can prepare something quick. And sharing a Baked Camembert Tiger Bread is a perfectly sociable way to relax. 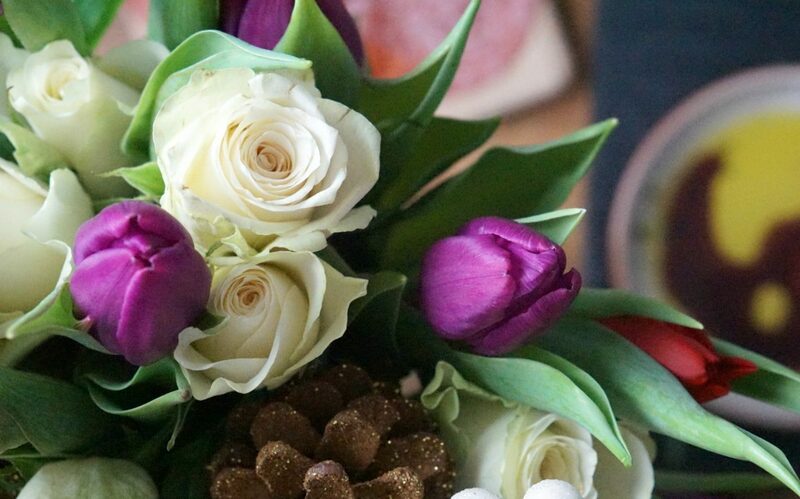 We are huge fans of entertaining friends and family. Mezze lunches and tapas a a popular meal in the Christie household. 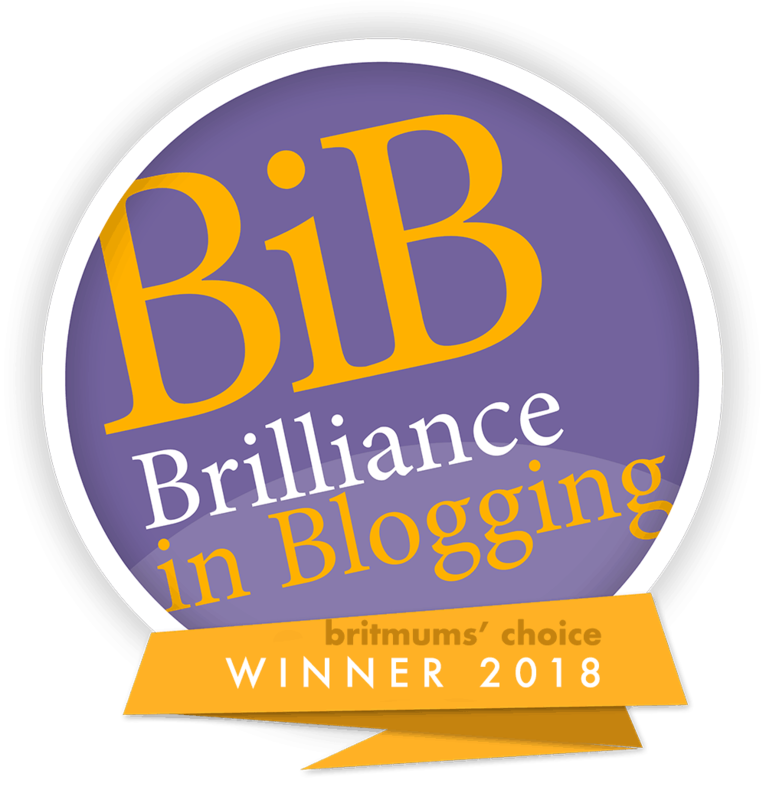 And there is something so sociable about tearing off huge chunks of bread and dipping it in it a steaming hot bowl of soup and oil with balsamic vinegar. 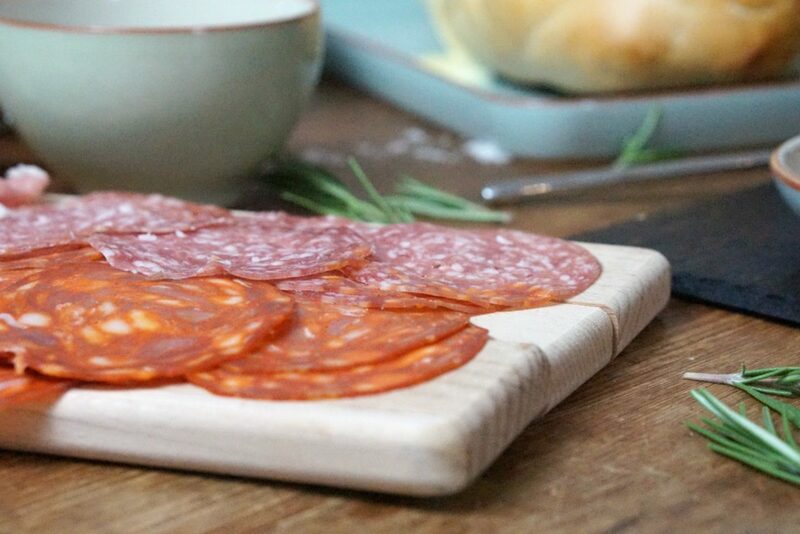 But is also a great starter for dinner parties or the ultimate comfort food. So when Cully and Sully asked my how I made my soup special, there was only one option. 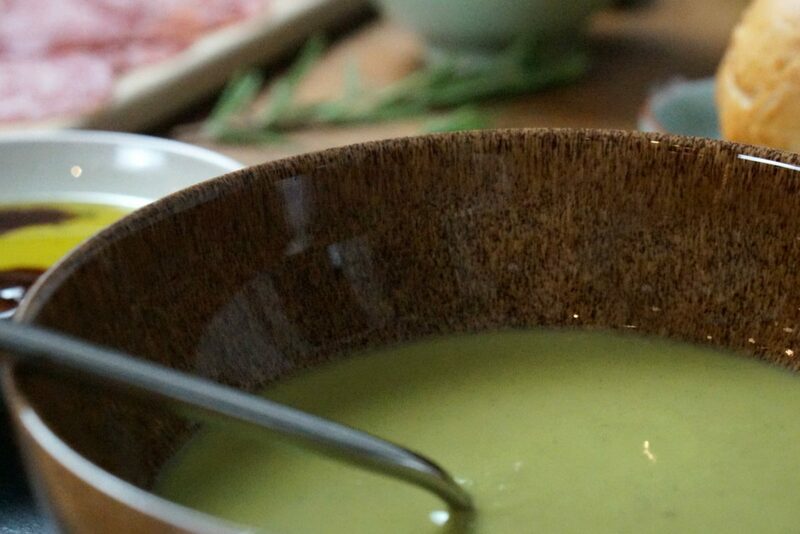 A long lazy tear and share mezze over a bowl of delicious creamy pea and mint soup. 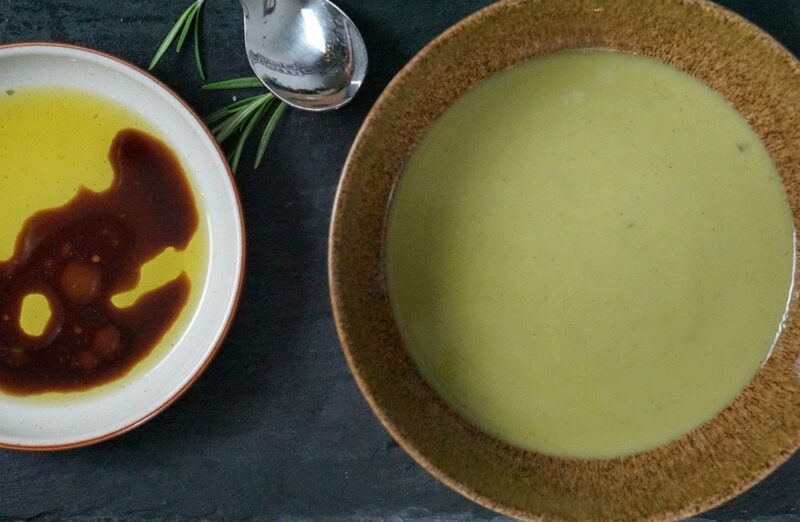 This has to be my favourite soup EVER! Followed closely by the old faithful creamy tomato and basil. I have talked before how family meal times are an event in the Christie household; we always sit at the table or breakfast bar to eat. We do not have a TV in the kitchen why-ever would you? Social media is banned and we talk, share stories of our day, laugh and on the odd rare day we sulk at each other. But we are a normal family, life here is chaotic and normal. If you do not find time to eat together life passes you by. And chat and laughter becomes less of an event. 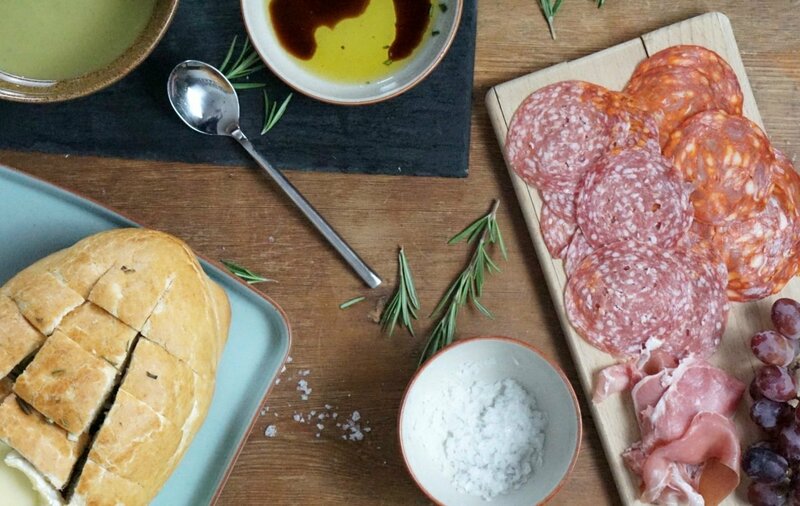 So today I want to share a recipe for tiger bread and baked Camembert with rosemary and garlic oil. I first had this at the lovely Donna’s house and omg you need to try it. 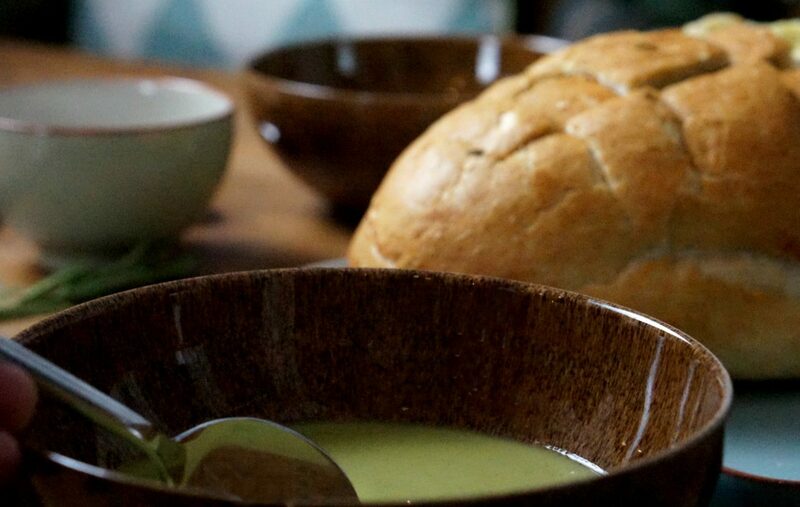 The perfect accompaniment to a steaming bowl of soup, or sharing with family and friends at a dinner party. Coupled with Cully and Sully soup made with good quality ingredients. 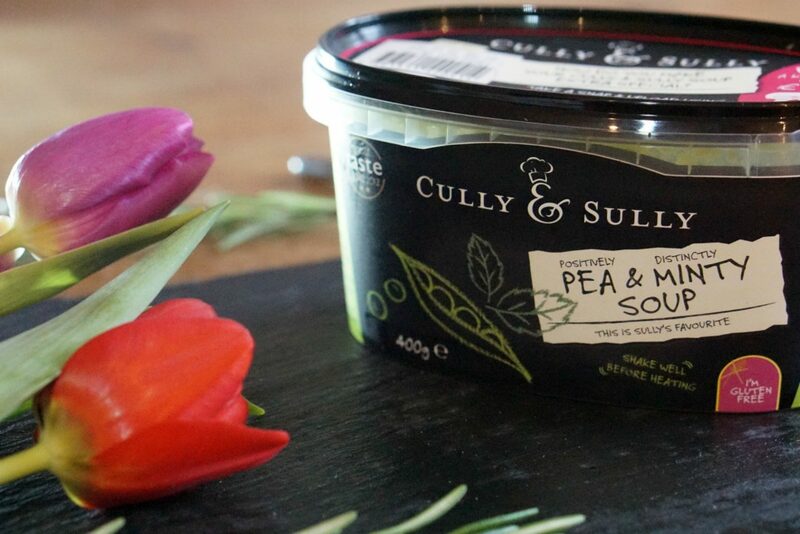 The team behind Cully and Sully grew up around Ballymaloe and Midleton in Cork – Ireland’s foody capital, and are passionate about creating tasty, velvety soups. They’re available in Tesco and are ideal for those who don’t have much time to cook but still want a comforting, homely meal. Which makes them perfect for such lunches, giving that home-made feel yet saving time. Chop the garlic and rosemary and place into the oil. Slice squares in a criss-cross pattern into the bread to create a cube effect. Cut a circle onto the top of the bread, going about an inch deep into the bread crust and remove. Remove the top of the Camembert and place in the circle space in the bread . 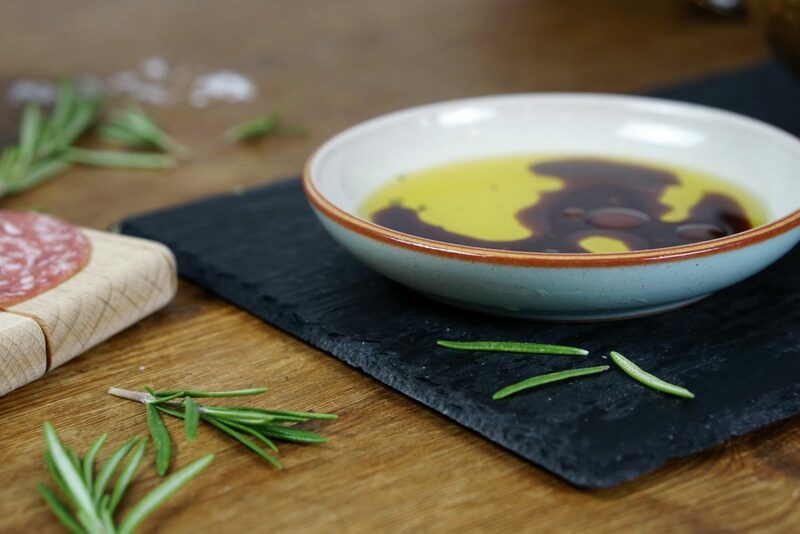 Brush the infused oil into the pre cut ridges of the bread ensuring the rosemary and garlic pushed into the gaps, ensuring you fully coat the bread. 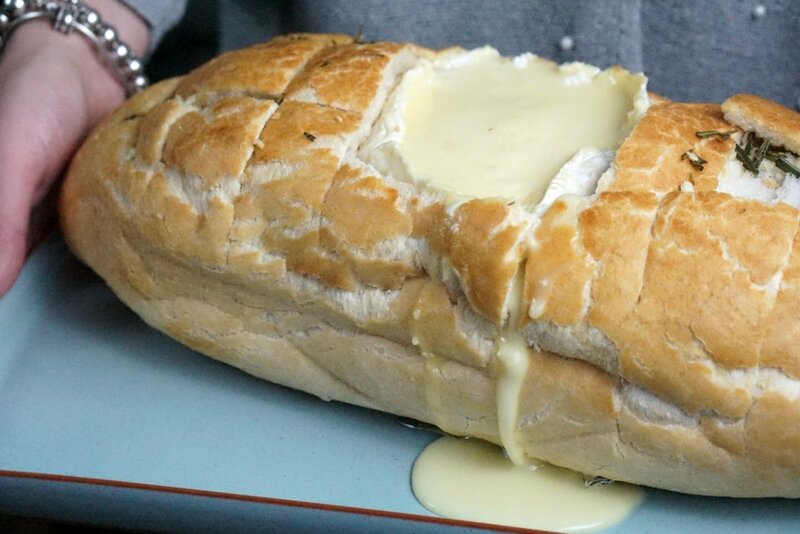 Cover with foil and bake on 180 for 15-20 minutes or until the cheese has melted. 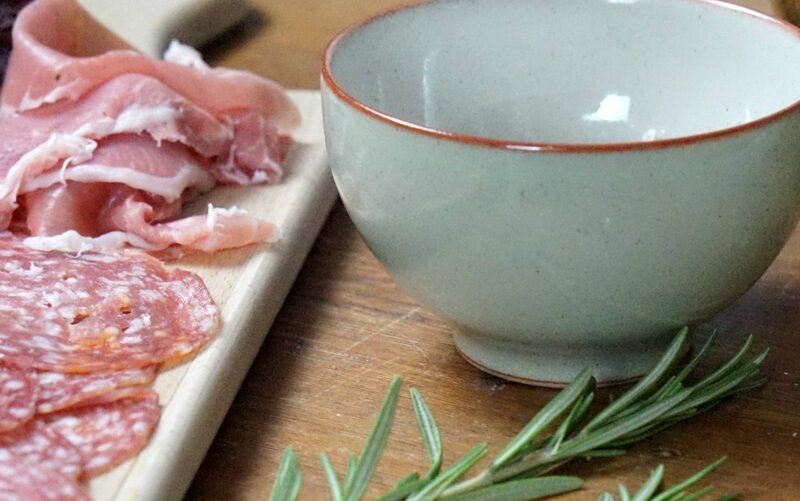 Serve with a steaming bowl of Cully and Sully Pea and Mint Sauce, Balsamic Vinegar and Oil and cooked meats. I know what I’ll be having on NYE! This looks gorgeous!